Welcome to the Workers Revolution. 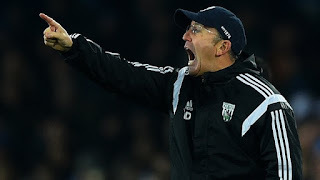 It started in the depths of the Winter of Discontent the Illustrious Leader of the Revolution ,Tony Pulis has lead the troops on the long march to Premier League safety and is now preparing to storm the winter palace. As with all Workers Revolutions the ruling class of the old the regime were quickly dispatched and some of the more obviously bourgeois elements sought refuge abroad, Blanco for instance quickly scarpered to Argentina to avoid the proletarian delights of Pulisball. Once the immediate objectives were secured a more far reaching purge got underway various bourgeois and revisionist cabals have been rooted out and sent to the Gulag or Norwich. Such enemies of people as the much reviled Terry Burton and his secretive side kick Mervyn Day are no longer in office. In the short term the Glorious Leader will take on the onerous task of overseeing the continual struggle for Premier League survival aided by a cadre of true believers such as Gerry Francis and David Kemp. The Revolution is now gathering pace attacking full backs are a distant memory and the flawed notion that possession of the football had anything to do with winning football matches has been banished. 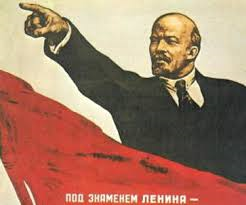 We will defend our clean sheet with revolutionary fervour and beat down any opposition to Pulisball even if the decadent passing game has reached such resolutely proletarian strongholds as Stoke. When will it end? There is no end only revolutionary toil and there is no alternative no opposition just a few intellectuals casting envious glances in the direction of South Wales where the freedom and prosperity go hand in glove. If the populace grows tired of the shackles and a diet of bread and circuses then maybe something changes but in the meantime the football at West Bromwich Albion will be grimmer than a wet Wednesday evening in Vladivostock.